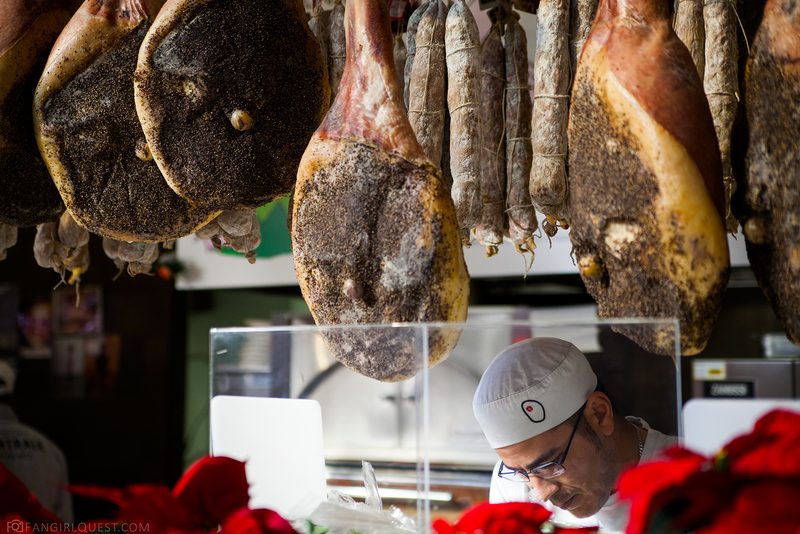 We’ve already talked about art and architecture, Hannibal locations and the leaning tower of Pisa, but one thing can’t be left out when talking about Florence: the food. The glorious, beautiful, delicious Italian food. Plus a few words on two lovely hotels we stayed at: something for the budget traveler, something for the luxury lovers! We arrived in Florence late in the afternoon, grabbed our luggage and wandered through the train station. I knew the whereabouts of our hotel and looking at the map the walk seemed pretty short, so we decided to skip a taxi ride and just endure it. And wow. The walk turned out to be not short. I know we took a wrong turn somewhere because we ended up dragging our luggage for at least an extra mile, since the hotel really isn’t that far from Stazione di Santa Maria Novella. Our hotel for the first three nights: Hotel Panama. 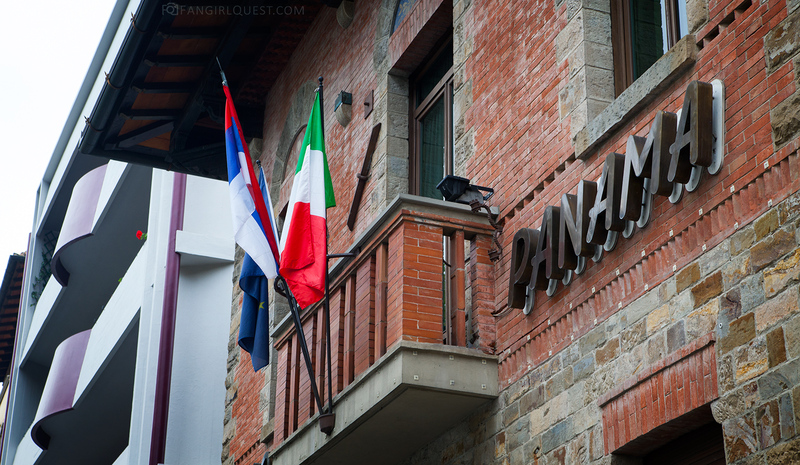 Eventually, we made it to Hotel Panama, which I had booked for the first three days via booking.com. We were greeted by friendly hotel staff and were very happy to discover it was a comfortable and clean little hotel not very far from the city centre. Hotel Panama has a nice location, friendly staff, clean rooms and reasonable prices. This is the view from our window. We were planning to go back out that night to grab some food, but ended up falling asleep at 6pm and waking up at 9am. Apparently, spending a night at the airport (while waiting for our extremely affordable, super early Ryanair flight) takes a toll on a traveler! But the next morning, we were back to our normal bright-eyed and bushy-tailed selves, and headed out to see some of the famous sights along with the filming locations for NBC’s Hannibal. 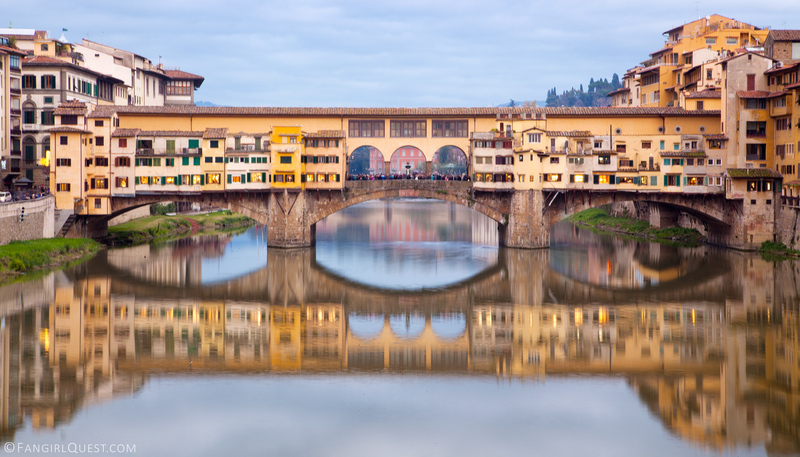 Ponte Vecchio, a stunning ol’ thing. Let’s get the food talk out of the way, because it’s about all I can think now as I’m typing this story over my morning coffee. During our four days we ate at streetside cafes, pizza places, the incredible Mercato Centrale full of fresh, handmade delicacies and in a beautiful four star hotel restaurant in the heart of the city. 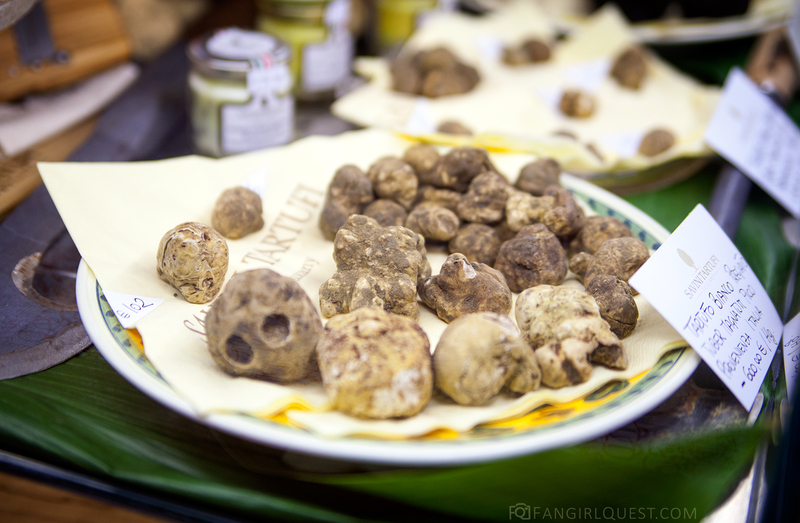 White truffles (Tartufo Bianco, also known from Hannibal’s season 3) for sale at the Florence food market. 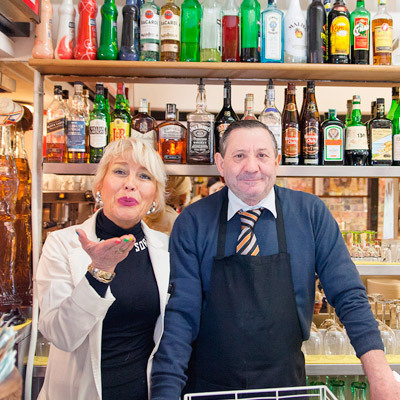 In case you’re just looking for a quick cup of coffee and maybe a lovely sandwich, that certainly won’t be a problem in Florence. 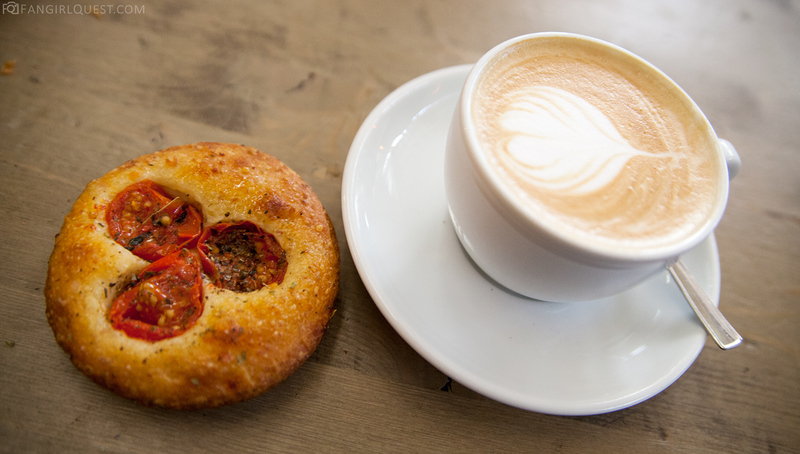 You’ll just need to take a short walk in the city to discover dozens of small cafes full of fresh bread and pastries. We sat down in Cafe Ole one morning, as it was close to our first hotel, Hotel Panama. The sandwiches we had weren’t your regular sandwiches, though. They were pieces of focaccia the size of your face filled with all sorts. I had one with prosciutto and artichoke hearts… and I miss the flavour dearly. Salty, fluffy, perfect with coffee. 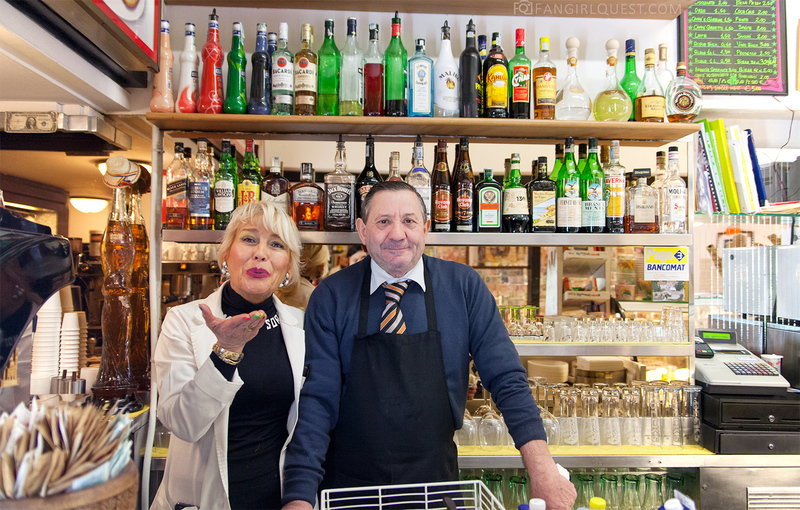 One afternoon, we stopped for coffees in the cutest small cafe ever: Caffe del Battistero right next to the Duomo, and even though we didn’t speak the same language, we shared a few giggles and smiles with the charming owners. Caffè del Battistero: a lovely place for a cup of coffee and some ice cream! Great customer service by these cute faces! The food market! 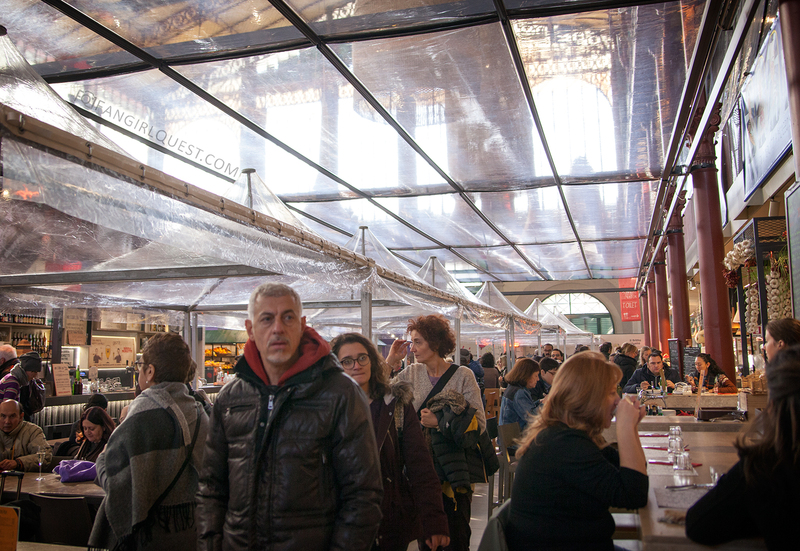 Do not miss the food market if you ever go to Florence! You’ll find it by looking for Mercato Centrale and won’t regret going. It’s a buzzing two story hall full of all the food you could ever imagine to find in Italy – the first floor is packed with stalls selling fresh fish, fruit, meat and bread to take home, but the second floor is the place where you want to go looking for lunch and all sorts of fun specialities. My travel companion Karl had a bowl of fresh pasta from cheery chefs who prepared it in front of his eyes, while I fell in love with tiny focaccias topped with tomatos and olives. Seriously: this was quite possibly the best bread product I’ve ever put in my mouth. I will miss you, delicious tiny focaccia.. The great thing about Mercato Centrale is that it’s an open space, so each person in a group can pick up food from whichever booth they want but still sit together. Mercato Centrale is a popular lunch spot. Things we should’ve tried but didn’t have the time (or space in our tummies): handmade hamburgers with incredible fresh trimmings, sandwiches spiced up with white truffle, steak and potatoes, fresh soups, mulled wine with local fruit and spices, vegan burgers, salads in a bowl made out of bread… Well, basically all of it! We spent our last night in Hotel Brunelleschi, but since there was quite a lot to say and show about it, you can find it in a separate post here. 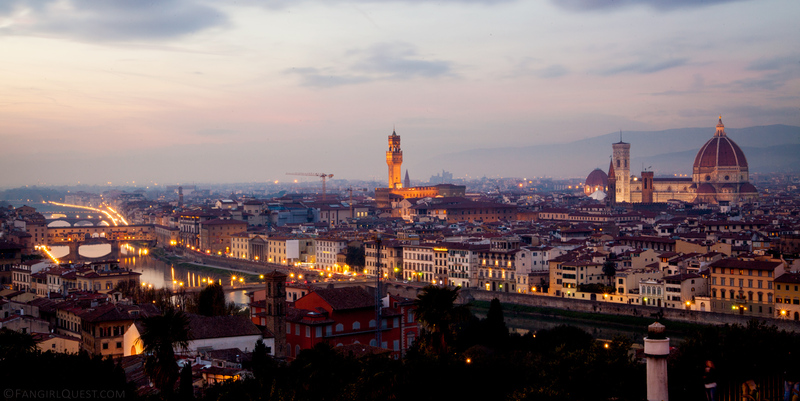 In Florence you’ll end up walking a lot. So pack a pair of comfortable shoes! Since Italy is the place to go when looking for leather products, you might end up buying a pair or two of leather shoes, but we all know how it goes with new shoes. It’s probably best to wear your good ol’ faithful sneakers instead of wearing your newly purchased pair. There are a lot of cobblestones and other uneven surfaces around Florence and its sights, so shoes with thick soles are a good idea. You’ll find more fantastic travel & packing tips on our separate post. 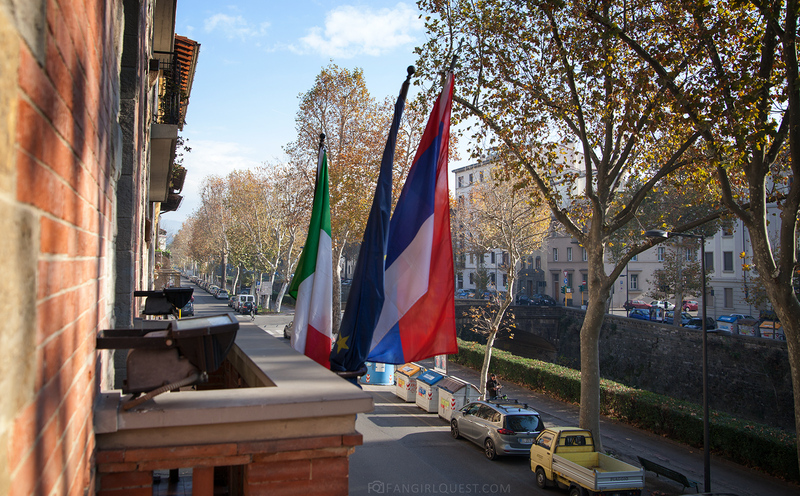 I just read all your stories about Italy and it didn’t ease my dream of travel there one day….. Maybe I should stop dreaming and just look for flights right now….. I spent a semester in Florence, and you’ve captured the essence nicely here. I highly recommend Pino’s for the BEST prosciutto panini around (if you make a return trip! ).